The University of Houston-Downtown (UHD) is known for celebrating and welcoming future and current Gators. Recently, the University was recognized for veteran friendliness for its Criminal Justice and International Business programs. 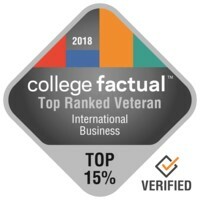 Nationally, UHD ranked in the top 20 for Best International Business Programs for Vets (No. 16). In Texas, the University was a top 10 best school, two years consecutively, for veterans studying international business (No. 2). UHD also ranked in the top 30 Criminal Justice & Corrections Programs nationally (No. 23). Overall, College Factual noted that UHD ranked No. 8 out of 62 colleges for veteran friendliness in Texas and nationally, the University ranked No. 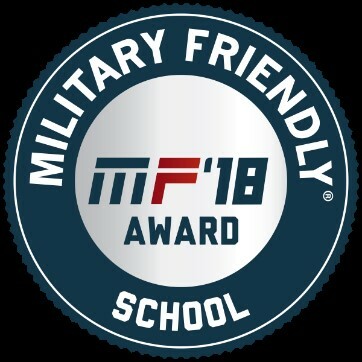 123 among the top 130 Best for Vets school in the U.S.
UHD is also a designated Military Friendly® School—the standard that measures an organization's commitment, effort, and success in creating sustainable and meaningful benefit to the military community. "The University of Houston-Downtown proudly serves approximately 700 veterans, who are applying what they learned in the military to new academic disciplines," UHD President, Dr. Juan Sánchez Muñoz. "As a veteran myself, I am honored to see our University's criminal justice and international business programs ranked among the best for those who have served our country."